Would you like to create a WordPress contact form in under 5 minutes? 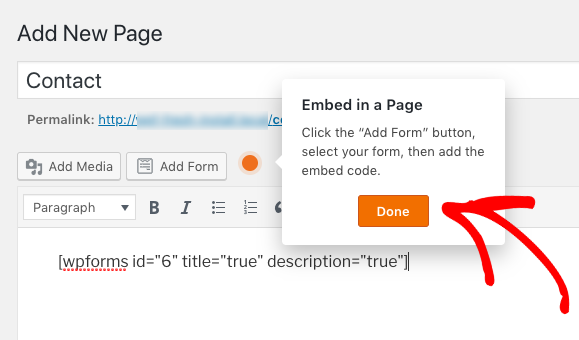 WPForms is so beginner friendly and easy to use that most of our users can create and publish a brand new form in just minutes. The WPForms Challenge gives you a chance to try this for yourself, and will also help to guide you through the form creation process. 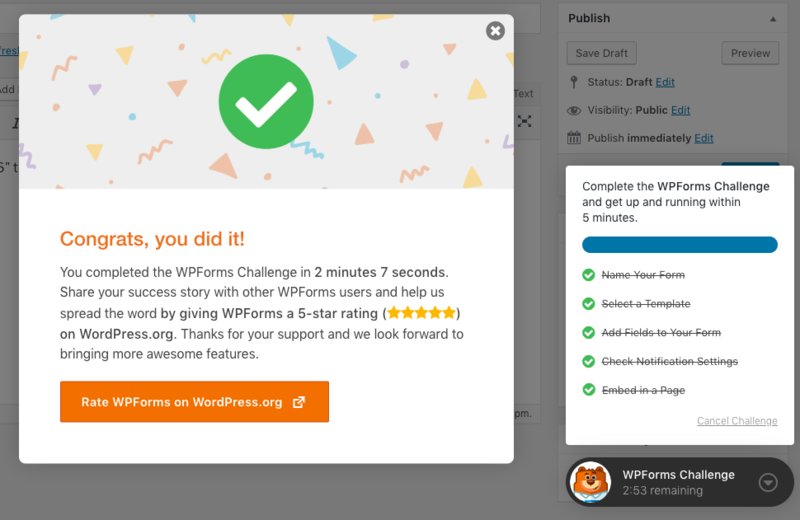 The WPForms Challenge will be available immediately after you install WPForms (if you haven’t installed WPForms yet, please follow our installation guide). Note: If you’d like, you can also verify your license key and install addons before starting the challenge. Once the plugin is installed and activated, you’ll simply need to click on WPForms in the left WordPress menu. As long as this is a new install, you’ll see the challenge in the lower left corner of the page. When you’re ready to start the timer, you can click the Start Challenge button. 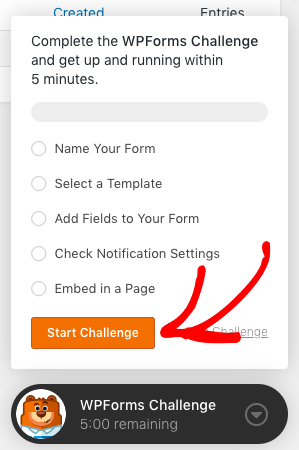 As soon as you start the challenge, the form builder will open for you. 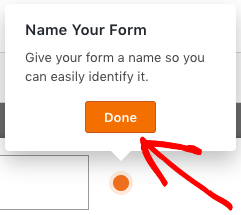 At the top of this page, your first step in the challenge is to add a name for your form. 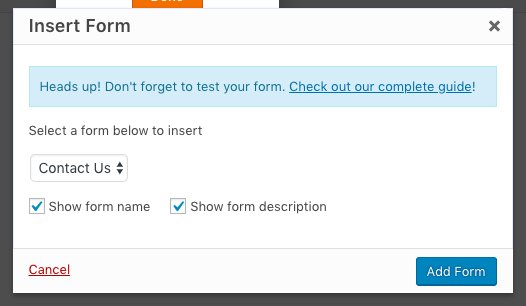 You can decide later whether or not to display this form name when the form is embedded on your site, but the name will also help you to easily distinguish your forms in the admin area. Once you’ve entered a form name, go ahead and click the Done button in the guide box. The next step of the challenge is to choose a template. 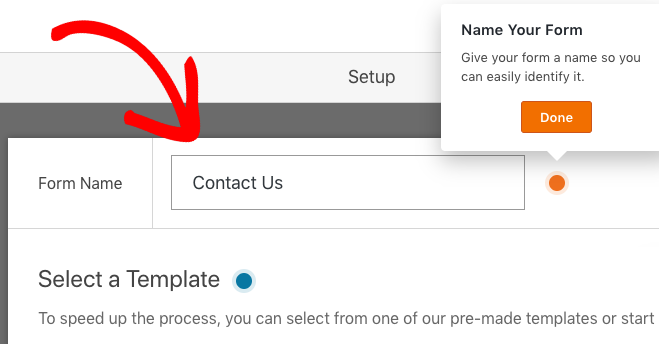 Once you’ve identified the template you want, click on it to proceed. After choosing a template, the drag and drop form builder will open. The template form fields will provide a useful starting point, and in many cases could already include all of the fields you need. If you’d like to make changes, though, you can now add, delete, move, and rename fields. To add a new field, simply click down on the field you want and drag it into the form. When you’re ready, click the Done button to move to the next step of the challenge. 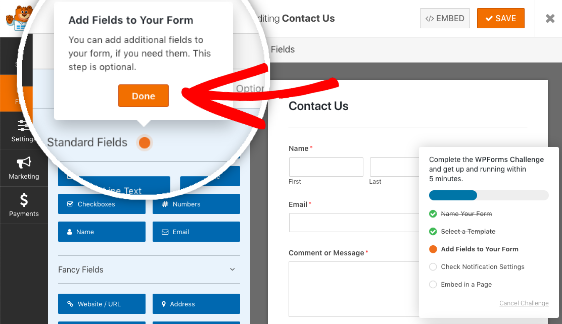 Now that your form fields are all set, you can set up notification emails. These are the emails that get sent out immediately after the form is submitted, and are most often used to let the site admin know that they have a new entry. The default settings are designed to work well for most cases (by default an email will be sent to the site administrator and include all form entry details), so you may not need to make any changes. 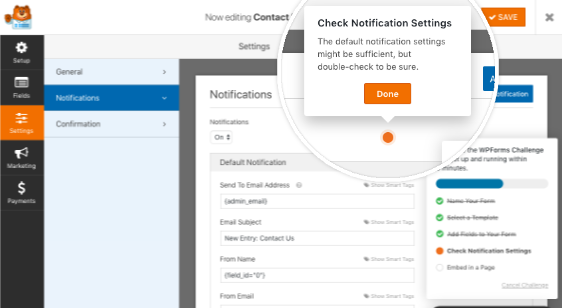 If you’re unsure, though, you can check out our notification email setup tutorial. When you’re done checking out these settings, you can click the Done button. 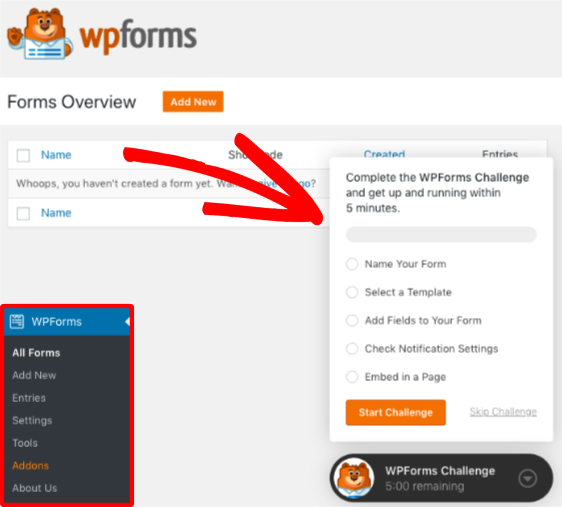 For the last step of the WPForms Challenge, you’ll embed the form on a page. At the start of this step, a new page will be created for you. You can name the page now if you’d like. Then you’ll need to click the Add Form button. After clicking this button, an overlay box will appear where you can easily choose the form you’d like to embed. Within this box, you can also choose if you’d like to display the form’s title and/or description. Once you’ve made your selections, you can click the Add Form button. This will automatically create the shortcode you need and add it to your page. Once the shortcode is in place, you can click the Done button for the challenge. Once you’ve finished this last step, you’ve completed the challenge! We hope that you enjoyed the challenge and were able create your first form in under five minutes! Next, we’d recommend testing out your form to make sure it looks and works exactly how you’d like. To help guide you through this process, please be sure to check out our form testing checklist.